Beirut might frequently be pronounced as a style capital in the Middle East, but it is also a city currently bereft of a fashion week. Whether the gears will grind into motion to supply Lebanon with the kind of fashion showcase it is undoubtedly worthy of, or not, for now, we have to look down smaller avenues for fresh, homegrown talent. Starch, an influential mentorship program for designers, is a good place to start. 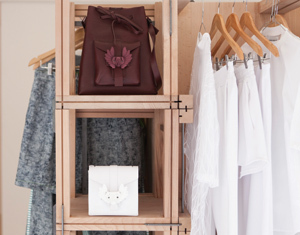 Launched in 2008 by Rabih Kayrouz, one of Lebanon’s most famous fashion exports, along with his PR and marketing manager at the time, Tala Hajjar, it was, according to Hajjar, the result of an organic culmination. “It was never a concept, it was never a plan. It just really took shape over the years.” Kayrouz’s international success meant young designers were always knocking on his door asking for advice. “And after a while,” she says, “we realized there was a need for something like Starch.” In 2015, Beirut based Hajjar coordinates with Kayrouz in Paris, who shares his first hand knowledge, being well positioned in the field. Traditionally, the program takes on a roster of fashion and accessory designers, and an architect (or ‘starchitect’) to design the space in which the collections will sit in the Saifi showroom (last year featured a pair). Design graduates from all over the world often face the same difficulty upon leaving university: taking their creative talent and moulding it into something sellable. While some people have natural business acumen, it’s something that can’t be learned as part of any curriculum, and many graduates complain that they feel unprepared for the tough world of fashion commerce — not least in a country such as Lebanon, where there aren’t sponsored platforms offered by big brands such as Topshop’s Fashion East at London Fashion Week, plus, there’s quite a bit of competitiveness in such a small country. This is where Starch comes in, which operates as an NGO and works with emerging designers through the full cycle, from the design process to the catwalk show — at Fashion Forward in Dubai — to press, marketing and finally retail, with a year long tenure in a Saifi showroom. 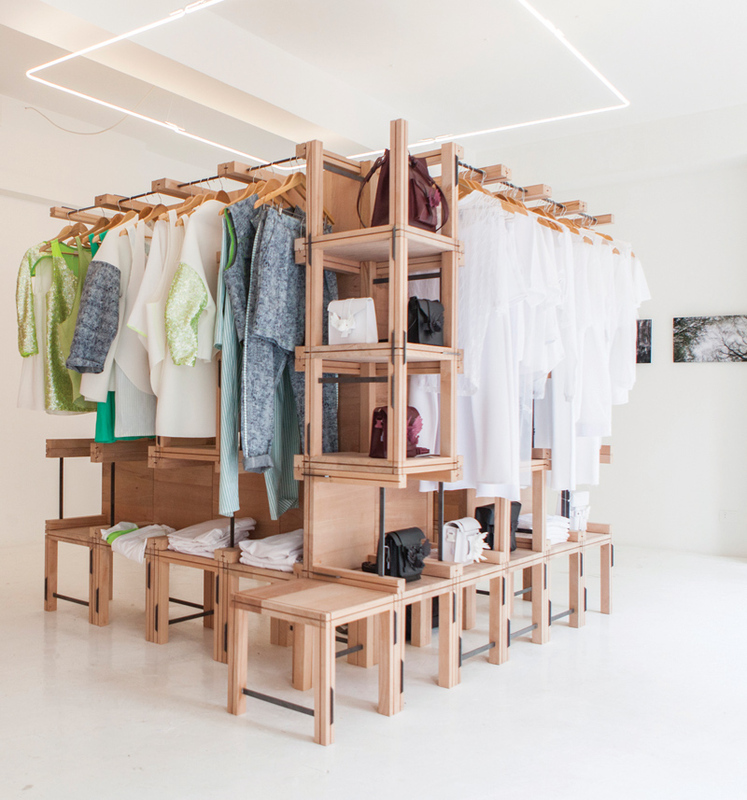 In the past, the designers have been required to supervise the shop on a rota — “to give them a hands on experience of retail,” says Hajjar — but in 2015, Starch is employing a salesperson for the first time, so the designers can properly optimize their time in terms of production and showcase as many collections in the store as they like throughout the year. The program also offers talks and seminars with success stories in the fashion industry (including those sponsored by the British Fashion Council). During these events, Hajjar and Kayrouz are on hand to monitor, critique and consult, before the designers then ‘spread their own wings’ at the end of the program — and many actually have. The industry faces many problems, however, mainly pertaining to production. “It’s a handicap,” she admits. “It’s just not up to the industrial level that we see abroad — the finishings are never good, the delivery dates are always bad.” This is why, Hajjar claims, the big multibrand stores don’t carry that many Lebanese designers. “Everything’s more artisanal than we see abroad, and not in the romantic sense,” she says, laughing. In Lebanon, ‘Made in Lebanon’ is a stigma, but designers can’t afford to produce in Turkey or in Europe, and so are forced to do their own sewing at home. This April ushers in six new designers, including an architect, and for the first time, a photographer. The mood of Beirut’s small fashion scene is despondent, following the passing of one of its best loved designers, Basil Soda, whose team released a statement praising a man who ‘built his company single handedly from the ground up.’ This kind of entrepreneurial spirit is what makes boundary breaking possible for Lebanese designers, who as Hajjar points out, face enormous challenges in their field.